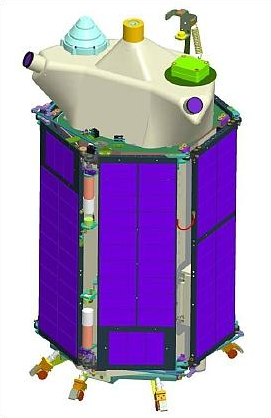 Baumanets-2 is a microsatellite developed at Bauman Moscow State Technical University as a follow-on to the Baumanets-1 satellite that was lost in a Dnepr launch failure in 2006. It utilizes a new satellite bus capable of hosting a number of scientific payloads with a total spacecraft mass of 86 Kilograms. The project includes educational goals aiming at training students in the development and operation of a space mission but the mission also has a series of scientific objectives. 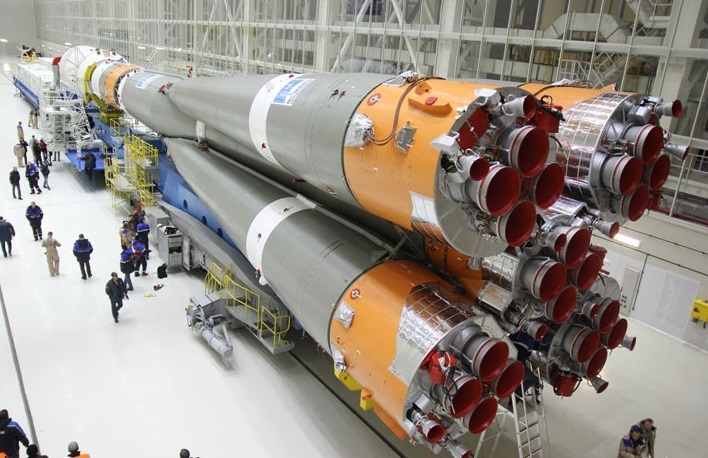 The spacecraft platform is hexagonal in shape measuring 46 centimeters in diameter and 53 centimeters in height when in its launch configuration. The bottom panel of the spacecraft features the separation system and an antenna that is used for communications with ground stations. On the upper panel of the satellite reside a multitude of systems including the Glonass/GPS antenna, the GlobalStar antenna, the propulsion system, and the sun sensors of the satellite that are used for attitude determination along with an inertial navigation system. The antennas and propulsion unit are installed on the common truss and are mounted to avoid shadowing on the sun sensors. The side panels of the satellite facilitate the solar arrays. Gallium-arsenide solar cells are installed on milled plates and three panels make up one array. The panels are folded in their stowed position around the hexagonal satellite body using mechanical locks. For deployment, the arrays are driven by two electro-mechanical servo systems that are commanded by the onboard computer. The panels unfold into a flat plane and can be folded up many times during the mission which can be used in the event of a loss of attitude control – in their folded position, the arrays generate at least some power regardless of satellite orientation. Inside the satellite body resides a frame that interfaces with the top and bottom panels and provides installation interfaces for the various subsystems and payloads of the spacecraft. Baumanets-2 hosts three payloads, a Franco-Russian Payload, a W-Band experiment and an optical imaging system. 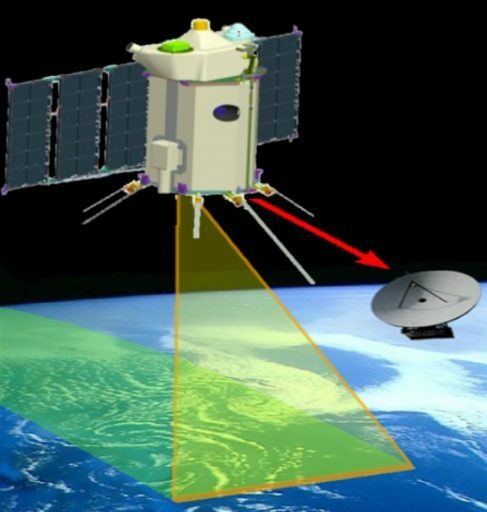 The optical imager will provide photos of Earth with a ground resolution of 30 meters for application in environmental monitoring, fire detection, oil pipeline monitoring, emergency management and other purposes. 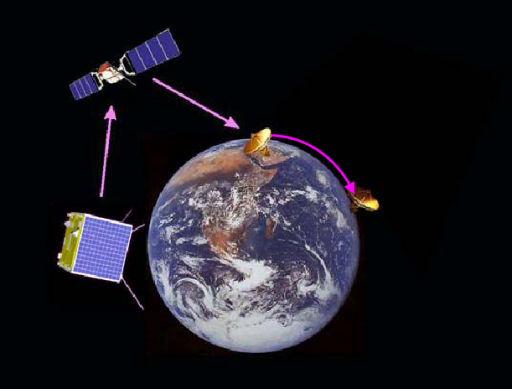 The W-Band payload uses a horn antenna aligned along the linear axis of the satellite so that it can be used a different angles to spacecraft nadir by attitude changes. The purpose of the study is the assessment of satellite signal attenuation at various angles, particularly low-acquisition angles to be used in the design of future high-data rate communication systems for data links between satellites and ground stations. A GlobalStar antenna and modem are installed on the satellite for communication demonstrations between a Low Earth Orbit Satellite and the GlobalStar communications satellite constellation for possible data relay on future missions. The Franco-Russian Payload is a radiation analysis experiment developed at the Montpellier-2 University using flying integrated circuits to measure radiation-related degradation in the space environment. Studies have shown that electronic components such as bipolar transistors show a current gain degradation that was significantly higher if the dose was deposited at a low-dose rate as compared to a high dose rate. In previous radiation testing procedures, high dose rates were used as it was thought that only the accumulated Total Ionizing Dose – and not the dose rate – influenced the degradation of components. Therefore, the low dose rate degradation is usually underestimated in radiation hardness testing. In space, low dose rates are more typical than high-dose rates used in ground testing. 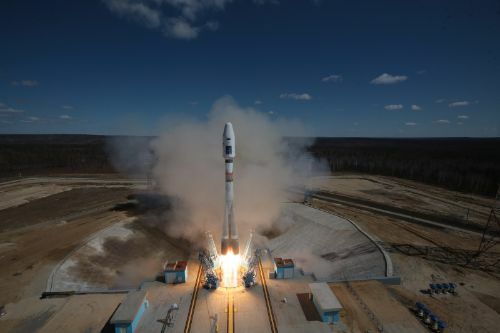 Since these discoveries were made, progress in the modification of ground testing protocols were made for example by using a high-dose rate irradiation followed by low dose irradiation to better simulate the radiation environment in space. However, these methods need verification by comparing them with actual measurements obtained in space. The FRP payload consists of a LM-139 voltage comparator and LM-124 voltage amplifier which are connected to associated electronics and data collection systems. These two components are known to exhibit strong radiation-related degradation. As part of the study, the two components will be subjected to the LEO radiation environment and key performance parameters such as input and output voltage and current will be recorded every 12 hours and compared to predictions collected from the new ground testing methods. 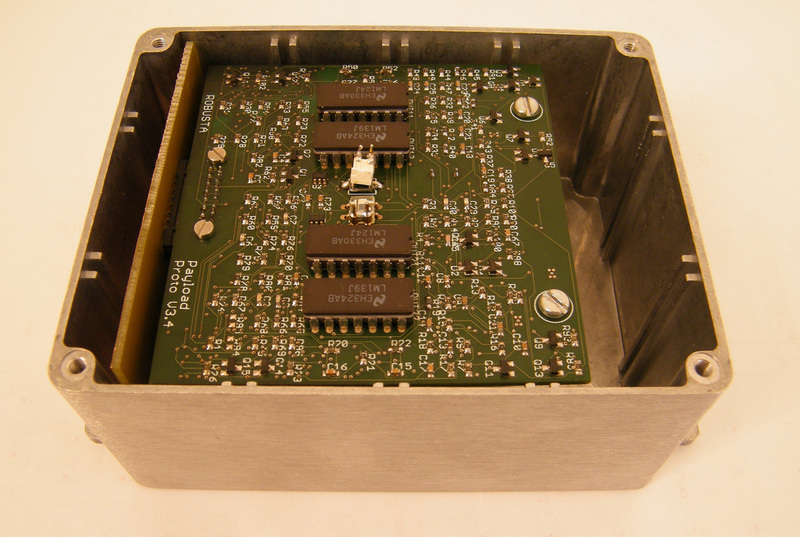 To keep a record of the radiation the components encounter, the FRP instrument also includes a Total Ionizing Dose Sensor based on Optically Stimulated Luminescence.